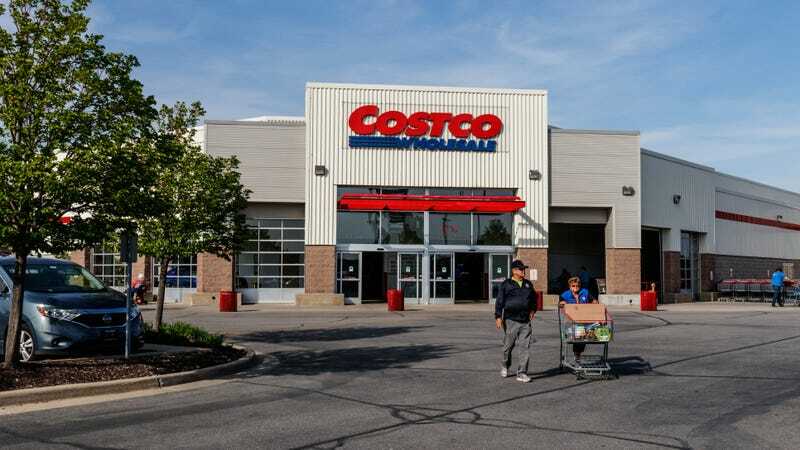 Costco memberships start at $60 per year, plus tax. That standard Gold Star level affords the basic privileges, namely the right to shop at Costco for giant vats of mac-and-cheese or cheap beer. But there’s still a way to shop at Costco, even if you don’t want to shell out for the membership: order delivery through Instacart. Major hat tip to Money magazine, which brought this to our attention. You’ll need to have a Costco in your area to take advantage of Instacart delivery, but if you have one in town, you can order many Costco/Kirkland-brand products online for delivery. I logged on to Instacart to peruse the options from my nearby Costco store, and found I could order items including: a 4-lb. package of ground beef, 2 lbs. of organic salmon filets, a 4-lb. vegetable platter, 24 eggs, 200 garbage bags, etc. So, Instacart delivery isn’t exactly the same as shopping at Costco—no $1.50 hot dog at the end of the rainbow, ugh. Still, it’s a handy way to buy household items in bulk even if you’re not a member.